When I became a Christian, God began right away teaching me about the power of words. I guess He knew that changing the way I spoke would be a long process! God gave us today’s scripture through the apostle Paul in his letter to the church at Ephesus. Paul’s admonition brought both conviction and healing to me as I desired to walk more closely with God. But even today, this verse serves as a continual reminder of the importance of our words. Although our put-downs may be a thing of the past, hurtful words can come in different forms. Something as innocent as telling what we heard about someone can cause lasting damage. Yes, a harsh word can consist of much more than an insult. In other biblical versions, “unwholesome talk” is also referred to as: foul or abusive language, corrupt words, and corrupting talk. 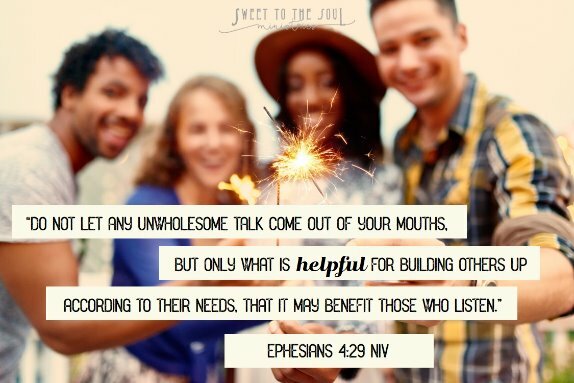 ​Lord, help us keep silent when we are tempted to engage in unwholesome talk. ​Through prayer and reading what God’s Word says about the power of our speech, I’ve come to plant this truth deep in my spirit. ​If I speak words that corrupt hearts, I cause lasting damage. 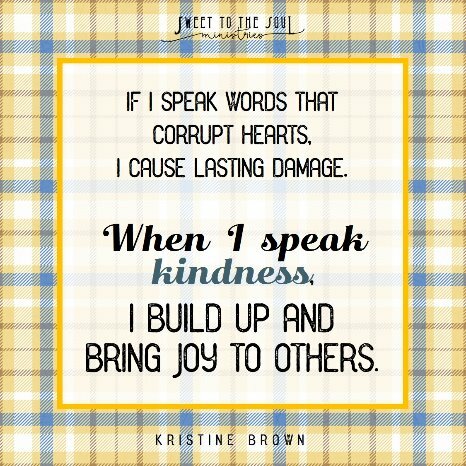 When I speak kindness, I build up and bring joy to others. ​I want nothing more than to bring joy to Jesus. He teaches us over and over to fill each other up with encouragement by sharing uplifting words. So let’s commit today to use wisdom when choosing our words. We can know without a doubt that taking this truth and applying it to our lives every day pleases our heavenly Father. Today's blog is part of our #GraciousWords ​series. Such a beautiful, much needed message, Kristine. Thanks so much for the gentle reminder. Oh that note passing took me right back, Kristine. 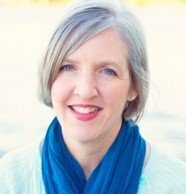 Words are my sticking point and the Holy Spirit has spent my lifetime so far retraining my mouth. You are so right that learning to keep silent is so often the key. Oh, how easy it can be to hide behind the computer screen of social media! Just this week, I had some unwholesome comments on a post I shared. And while I understand we all have different opinions on certain matters, I would rather be sent a private message than have something broadcast over the internet. So thankful FB know to "hide" those offensive comments! Great post, thanks Kristine!